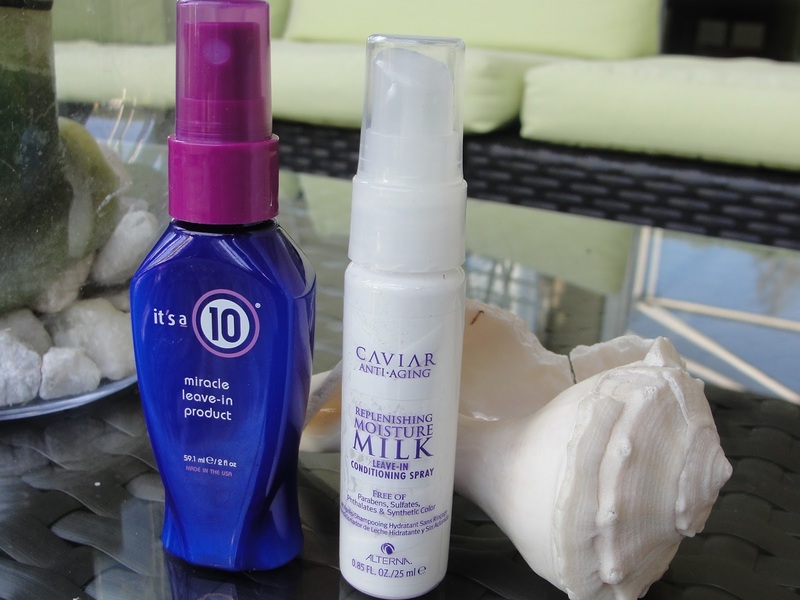 Today I want to compare 2 hair leave- in products that I both love: the It´s a 10 Miracle Leave-in product vs. the Alterna Replenishing Moisture Milk Leave-in Conditioning Spray. It´s a 10 and Alterna are both cruelty free brands (find more brands that don´t participate in animal testing). Both products come in a convenient spray bottle- but to not waste product (they are expensive!) I recommend only spritzing the product into your hands and then gently apply the product onto your hair ends (I would not apply it on the roots). 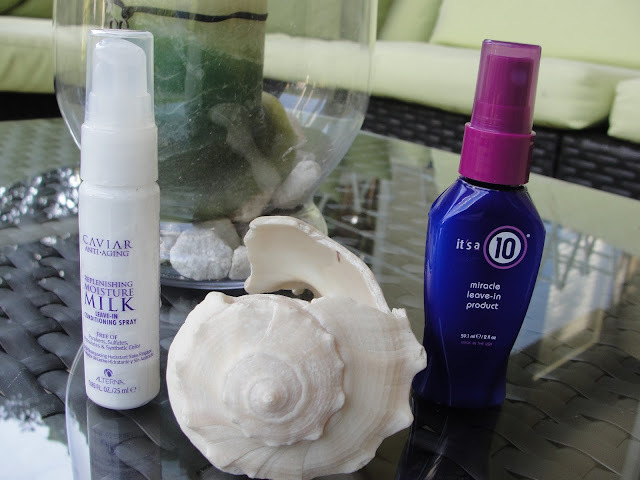 These leave-in products are excellent for those with thick, unmanageable, dry or frizzy hair. I don´t think they are for you, if you have fine or hair that weighs down quick. Well, I have exactly that: dry, frizzy, thick and unmanageable hair. The result of both products: shiny, healthy and soft feeling hair- and: both smell fabulous! I would describe the scent of the It´s a 10 product as clean and fresh and the Alterna one smells also fresh yet at the same time a little exotic. 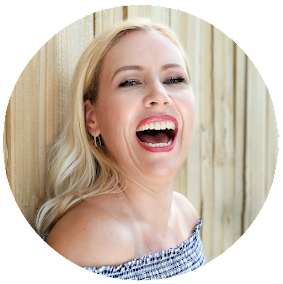 Honestly, both products deliver exactly what they promise... but who is my winner? It´s a 10 costs $18 for 4 oz. and Alterna costs. $30 for 5.1 oz. So price wise It´s a 10 wins. 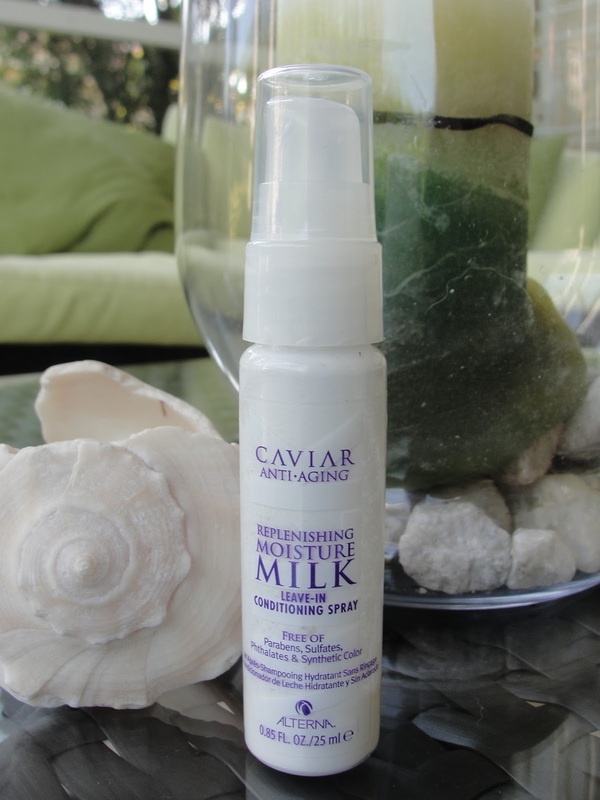 Alterna Replenishing Milk Ingredients: Water, Dimethicone, Propanediol, Cetearyl Alcohol, Glycerin, Behentrimonium Chloride, Dicaprylyl Ether, Sea Water, Kappaphycus Alvarezii Extract, Polyquaternium-55, Cyclopentasiloxane, Dimethiconol, Panthenol, Cetrimonium Chloride, Selaginella Lepidophylla Extract, Lactobacillus Ferment, Amodimethicone, Superoxide Dismutase, Polysilicone-15, CaviarExtract, Ascorbic Acid, Saccharomyces/Magnesium Ferment, Saccharomyces/Copper Ferment, Saccharomyces/Silicon Ferment, Saccharomyces/Zinc Ferment, Saccharomyces/IronFerment, Phospholipids, Helianthus Annuus (Sunflower) Seed Oil, Sodium Methoxy PEG-16 Maleate/Styrene Sulfonate Copolymer, Tocopheryl Acetate, Butylene Glycol, Algae Extract, C11-15 Pareth-7, Laureth-9, Trideceth-12, Citric Acid, Disodium EDTA, Phenoxyethanol, Methylisothiazolinone, Fragrance. It´s a 10 Miracle Leave-in Ingredients: Water, Cetearyl Alcohol, Behentrimonium Chloride, Propylene Glycol, Hydrolyzed Keratin, Keratin Amino Acids, CyclopentaSiloxane, Fragrance, Camellia Sinensis Leaf Extract, Aloe Barbadensis Leaf Juice, Butylene Glycol, Helianthus Annuus Seed Extract (Sunflower), Panthenol, Quaternium-80, Silk Amino Acids, Hydroxycitronellal, Benzyl Salicylate, Hydroxyisohexyl 3-Cyclohexene Carboxaldehyde, Butylphenyl MEthylpropional, Linalool, Citronellol, Limonene, Methylparaben, Propylparaben, Methylchloroisothiazolinone, Methylisothiazolinone. Do you see, what I see? 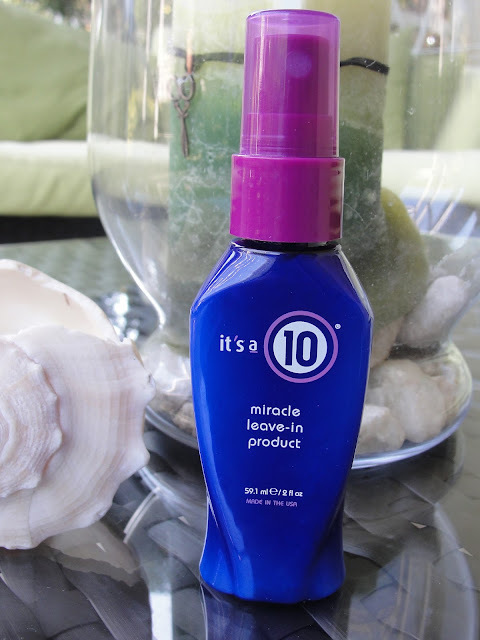 The It´s a 10 Miracle Leave-in treatment contains parabens! I was super surprised to find this out! This is one of the ingredients you should NOT BUY as it is linked to cancer! Alterna uses no parabens, sulfates or phtalates. 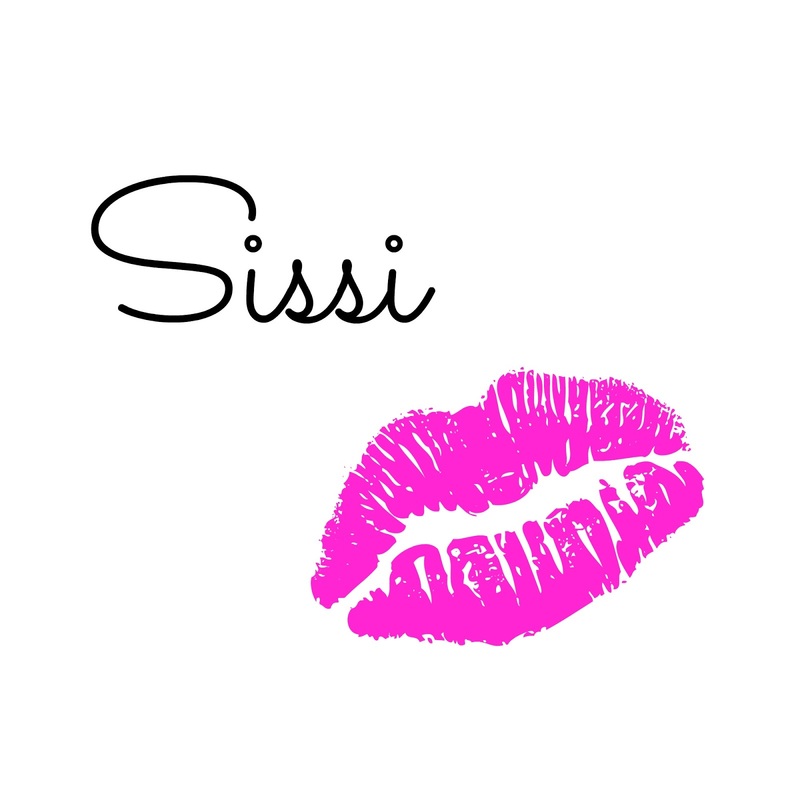 Ever tried either product? Loved it, hated it? The Alterna Replenishing Moisture Milk was already empty and in my recycle bin when I had the idea to do this comparison post. I haven´t done photos of the bottle yet and it looked visibly empty (which would´ve looked very weird on the photos) and that is why I filled in a mixture of milk and paint to make it look like it has still some product left! LOL!!! What do you say now? Am I crazy or what?! ?